Scott is a licensed architect with over 30 years of experience in Global Corporate Real Estate, including managing and leading all aspects of the CRE lifecycle; portfolio and workplace research, planning and design, acquisition, implementation, and operations throughout the Americas, Asia, and Europe. Scott has developed and managed innovative and effective work environments, meeting the needs of the business and supporting key work activities of employees, resulting in the savings of hundreds of millions of dollars. Scott is currently the Senior Director of Global Real Estate at Adobe in San Jose, California. In this role, he is responsible for all real estate transactions, project delivery, portfolio investment strategies, and employee experience (design, food, events, and wellness). Prior to this role at Adobe, Scott was the Director of Real Estate Strategy and Planning at T-Mobile. 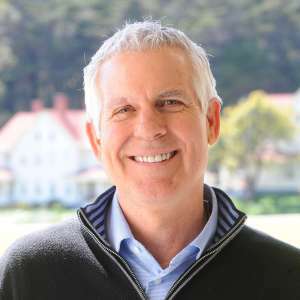 Scott was also the VP of Enterprise Solutions at Better Workplace, and held a variety of positions in the corporate real estate group at Sun Microsystems.